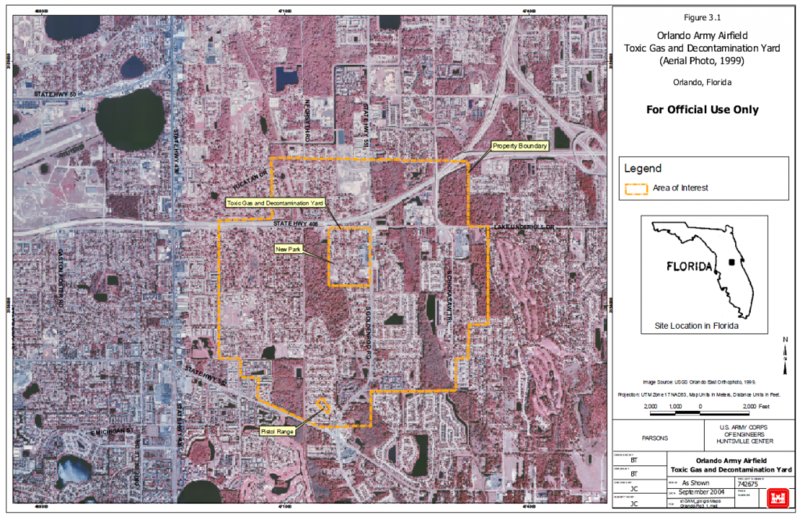 The former Orlando AAF, Toxic Gas and Decontamination Yard is located approximately three miles northeast of the Orlando International Airport, east of the City of Orlando, in Orange County, Florida. 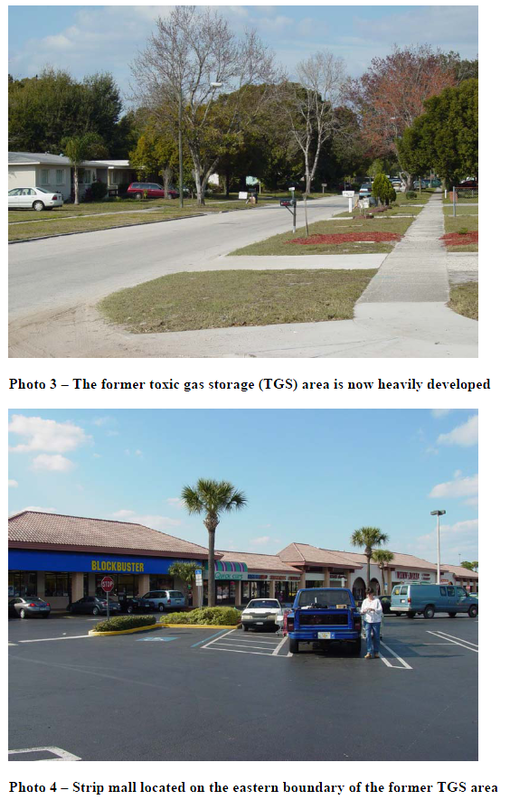 The general location of the former Orlando AAF, Toxic Gas Decontamination Yard is presented on Figure 2.1.
edge on Goldenrod Road and houses throughout the former decontamination yard area. recommended that this land be used for any purpose for which it was suited. 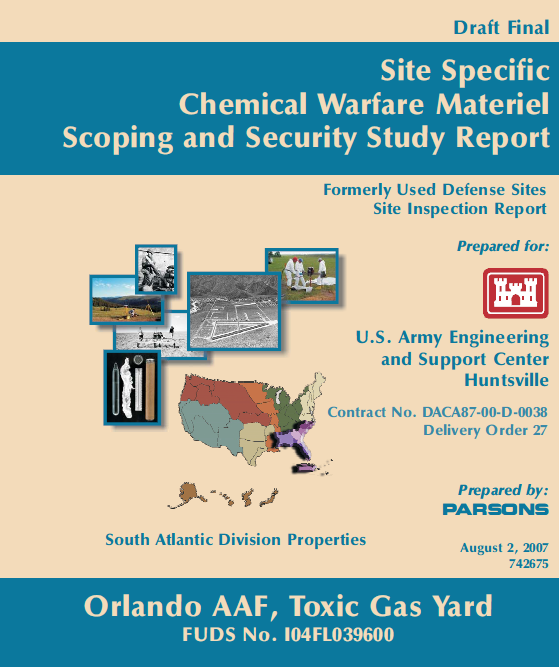 of chemical munitions may have been stored at the site. AAF in order to determine if the site was eligible under the FUDS program. of disposal at the site. 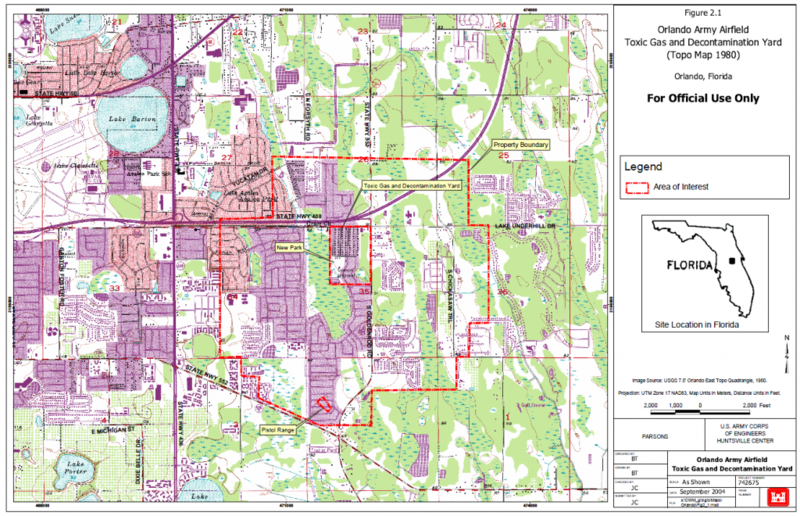 The ASR findings are summarized in Section 3 of this document.